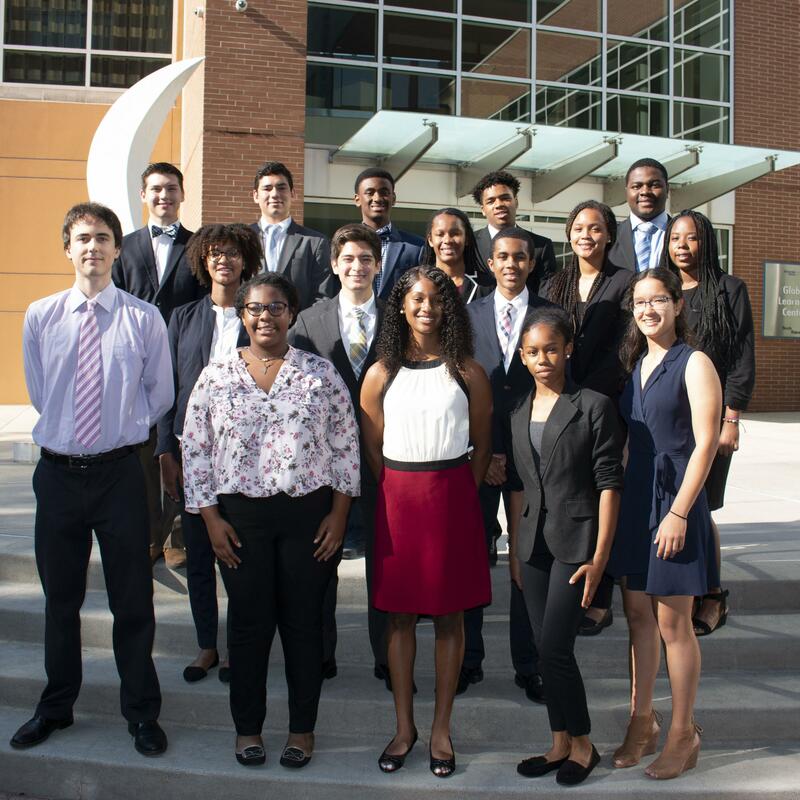 For the past 10 years, the Georgia Tech Center for Engineering Education and Diversity (CEED) has hosted 48 minority rising high school juniors and seniors from across the U.S. for its Summer Engineering Institute (SEI). Participants are immersed in the Georgia Tech student experience during the three-week program — from Georgia Tech dining halls and dorms to the daily rigor of a Georgia Tech engineering classroom. This year, for the first time, one of the three projects was from the H. Milton Stewart School of Industrial and Systems Engineering (ISyE). Led by Francisco Javier Castillo Zunino, a second-year ISyE Ph.D. student in operations research, four of the 12 SEI teams were charged with creating a hypothetical company to solve a problem in a health or humanitarian system, both at home and abroad. After submitting a project proposal, the teams learned how to structure their companies, which included giving each team member a job and title within the organization. They also learned the basics of web design and logo creation, and some groups even developed an app. On the technical side, Castillo Zunino gave his teams a crash course in industrial engineering. They started with the basics of probability and statistics, and then moved into creating the simulation models. “The students had not used simulation software before, but they were able to understand the logic behind it and use simulations to effectively solve their problems,” said Castillo Zunino. Participants also fine-tuned their communication and presentation skills throughout the program. SEI culminates with a team competition that is judged by Georgia Tech faculty and staff. There are currently 42 undergraduate students enrolled at Georgia Tech who have participated in SEI, including ISyE third-year Juliana Mena, who attended SEI the summer before her junior year in high school. As a result of her SEI experience, Mena decided that Georgia Tech and ISyE were the right fit for her college career, and she couldn’t be happier with her choice. She even served as a resident assistant for SEI during the summer following her freshman year. In addition to teaching the basics of engineering, the CEED team builds strong relationships with the students during their time on campus. “We pride ourselves on the fact that we start out as different people from all over the United States, but we end up a family at the end of the three weeks,” said Cox.